(NaturalNews) He says he believes in individual freedom, liberty and parental rights, but potential 2016 Republican presidential contender Ben Carson, a retired pediatric neurosurgeon doesn't, really, when it comes to the issue of childhood vaccinations. In fact, the good doctor believes those should be mandatory, as a matter of public policy -- regardless of a parent's religious or philosophical objections. "Although I strongly believe in individual rights and the rights of parents to raise their children as they see fit, I also recognize that public health and public safety are extremely important in our society," Carson said, in a statement released to The Hill and Buzzfeed News. 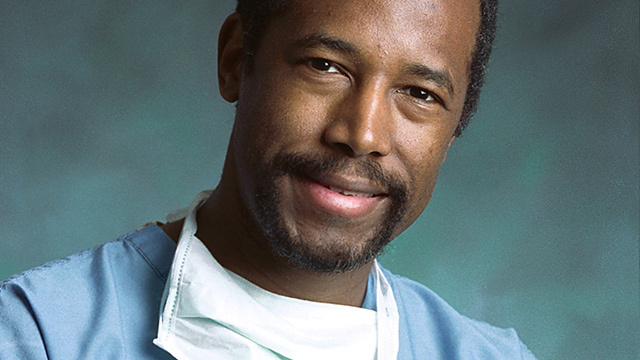 "Certain communicable diseases have been largely eradicated by immunization policies in this country and we should not allow those diseases to return by foregoing safe immunization programs, for philosophical, religious, or other reasons when we have the means to eradicate them," the soft-spoken Carson continued. That said, he added this caveat: "Obviously there are exceptional situations to virtually everything and we must have a mechanism whereby those can be heard." "The state doesn't own your children"
Carson's comments, made in February, came amid a corporate media-generated controversy regarding children and vaccines, at a time when an outbreak of measles in California was being blamed on horrible, awful parents who chose not to risk their children's health by injecting them with harmful vaccines. Earlier, another potential GOP candidate, New Jersey Gov. Chris Christie, was also chastised by the intolerant corporate media and vaccine pushers when he dared to suggest during a trip to England that "parents need to have some measure of choice" in deciding whether to vaccinate their children. Enter media firestorm. Such an extreme position. Still another potential GOP candidate, Kentucky Sen. Rand Paul, himself a physician as well, was the only one to stand firm in his belief that parents should have the option to vaccinate -- or not. Vaccines do injure - so what then? "The state doesn't own your children," he said in an interview with CNBC's Closing Bell, as quoted by The Hill. "Parents own the children, and it is an issue of freedom and public health." It's a matter of liberty, he said, noting further that he has heard of cases where children were left with "profound mental disorders" after being vaccinated. Paul was even mocked for that view, despite the facts that a) vaccine injury is well-documented and even admitted by the federal government, and b) it is common enough that the federal government established a National Vaccine Injury Compensation Fund. In the most extreme, however, those who push the government-Big Pharma vaccine line would love to see "vaccine deniers," as they call them, fined, jailed or both. Others have suggested that parents who don't get their children vaccinated be sued in court if an outbreak occurs. Not just Republican candidates for president but also Democrats will likely be tested further on this issue as the 2016 race heats up; they should be. They should be challenged on what they believe and why, and whether they really do support parental choice, or if they are in the camp of the intolerant and tyrannical and demand full vaccine compliance, no matter how many kids wind up like this. Or this.